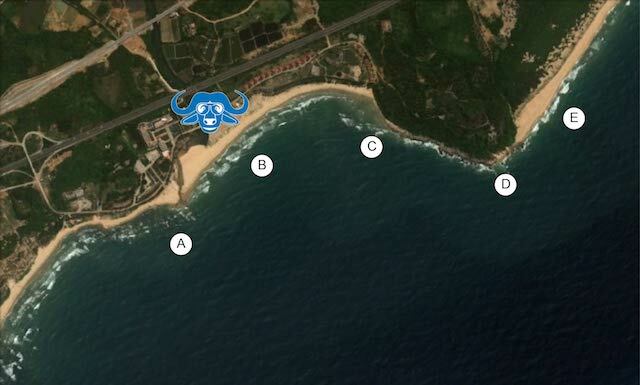 Riyue Bay holds a variety of breaks in the 2 kilometer stretch near the Riyue Bay Surf Club. Here are descriptions of some of the best spots in the area. This left-hand point break is directly in front of the tourist attraction of the same name. With rocks sticking out on the inside, it is safer and generally better to surf at low tide. This spot was named in the Stormriders Guide as Yab-J (a backwards J-Bay) for it’s long peeling lefts. It can feature some barrel sections in good conditions. Best in fall/winter. This beach break can be stong and powerful on big swells, and a mellow longboard wave on smaller swells. 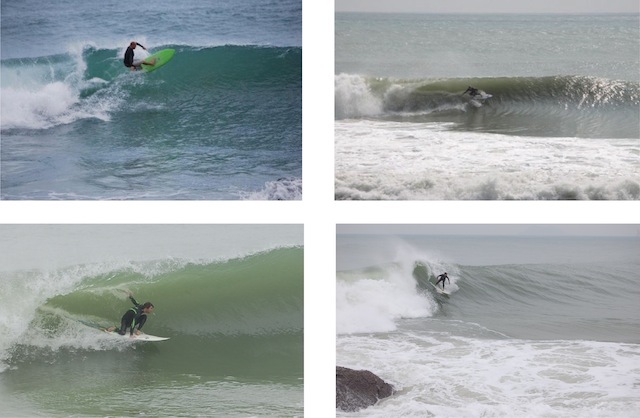 This is a good break for beginners, as during big swells the whitewater on the inside is easy for learning. It can be fast and hollow, but with a shifty peak, luck and patience are required. Works in all seasons. 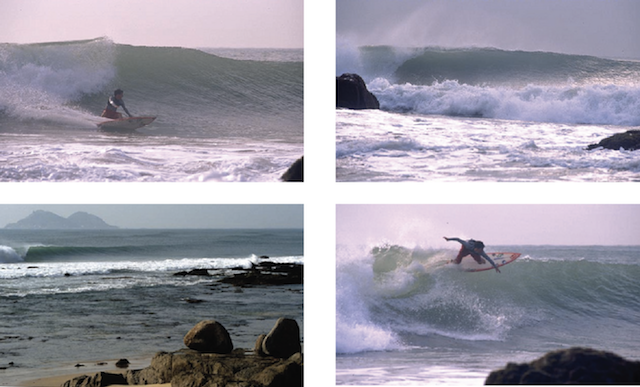 A classic point break set up with long left handers. The site of the Surfing Hainan Open since 2007, as well as the Swatch Girls Pro and ISA event, this is probably Hainan’s longest-ridden wave. Relatively soft with an easy channel paddle out, this is a good spot for intermediate surfers to learn to manover on a point break wave. It can also get relatively crowded. Arguably Hainan’s best wave, this left-hand point break can produce grinding barrels in the right conditions. It breaks most entirely on sand, but there are rocks on the inside which can make it quite dangerous, especially on a higher tide. A good stand-by when other spots are too small, this beach break serves up fast and and punchy waves. Because of the steep incline of the ocean floor, the waves here are usually a foot bigger than in other spots in Riyue Bay.